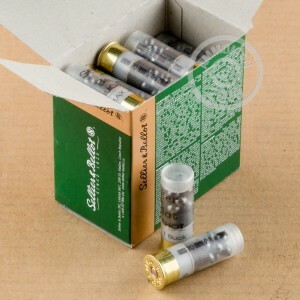 These versatile 2-3/4" shotshells from Sellier & Bellot deliver excellent performance in sporting, self-defense, and hunting applications. 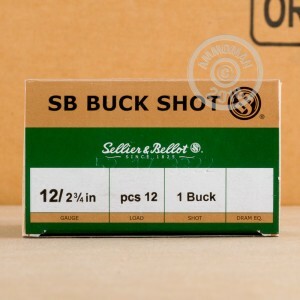 Loaded with 1 1/8 ounces of #1 buckshot, they provide a balanced level of terminal performance, carrying less risk of overpenetration than 00 buck without sacrificing knockdown power against game or assailants. 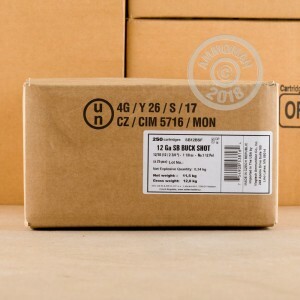 Czech-based Sellier & Bellot is one of the world's longest-lived ammunition manufacturers and has found a strong following in the US due to the high quality and relatively low price point of their products. Grab this 250-shell case to get some serious range shooting or training done. As with all orders over $99 at AmmoMan.com, your purchase comes with free courier delivery!